Addison’s disease is an autoimmune, inflammatory condition of the adrenal glands, resulting in the gradual destruction and inability to make sufficient amounts of adrenal hormones. Addison’s disease can be difficult to diagnose with the clearest symptom as a darkening of the skin, but it may not be present in some patients and it is never present in secondary Addison’s disease. Diagnosis is made by assessment of Cortisol levels in blood. The point that is key to make here is the most frequent underlying challenge with Addison's Disease which would be autoimmunity. When this disease state is diagnosed I see the same issue in conventional treatment as I do with those diagnosed with Hashmoto's Disease (thyroid autoimmunity.) Just as with Hashimoto's viewed as a thyroid issue, Addison's is viewed as an adrenal issue and in my mind, this cannot be further from the truth. 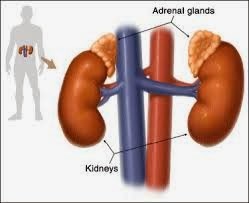 The problem is not the adrenals specifically, it is the autoimmune reaction and the triggers for autoimmunity. Unfortunately, this is often not addressed with the most common treatment is to give the body some form of cortisol. While there may be a time and place for this treatment, I have to share that this is simply a symptom care as the individual continues to lose adrenal function as time progresses. As mentioned above, it is the autoimmune reaction and the triggers for autoimmunity. One of the challenges here is that conventional medicine does not feel that autoimmunity can be overcome and in fairness, this is true. Based on the symptom/prescription model, there is very little on can do with an autoimmune condition. Thankfully from a holistic model, there is quite a bit that can be accomplished with autoimmunity. The first key here is to take care of your fundamentals of health. You know, the simple things that unfortunately, most of us do not take care of. For your complimentary four part video series on the fundamentals of health go to www.depkewellness.com and click on the purple "Sign Me Up!" button at the bottom of the page. You will have a video emailed to you each day for four days to engage you in your fundamentals of health. The next step is to assess adrenal function and get yourself on a protocol to assist your body in resetting your HPA axis (hypthalamus, pituitary, adrenal axis) as well as balancing your adrenals at the core. This is a key because the HPA axis plays a significant role in your body being able to balance from stress, whether this is physical stress due to infection, injury or inflammation, mental/emotional stress, chemical stress or even spiritual/vibrational stress. This is a key because without the HPA axis, all your stress is accumulative and this further depletes to adrenal insufficiency and adding to the autoimmune triggers. Of course we would also want to support immune system and gastro intestinal system along with all else mentioned above. After all, about 70 - 80% of your immune function originates in your GI. So when you can focus on your fundamentals of health, assist the body in resetting the HPA axis and balancing your adrenal function all while addressing your individual triggers while supporting immune and GI function, this provides the best opportunity for shifting the autoimmune response. So in the end, understand that autoimmunity and Addison's Disease typically go hand in hand and that you do have power to shift this condition. If you have a comment or question pertaining to this article, please leave this below and I will address this personally. If this subject intrigues you and you are not currently a client of Depke Wellness, we always offer a complimentary 20 minute phone consultation to assist you in understanding this further. Feel free to call our office at (949)954-6226.